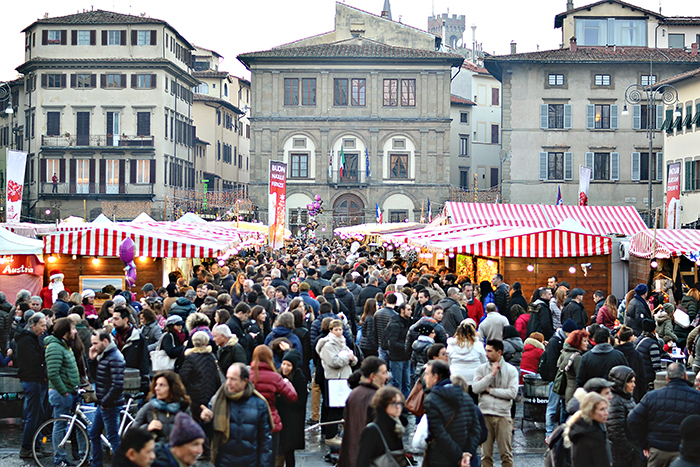 There is pretty much nothing better than Christmas in Florence. Florence loves Christmas and it shows, down every street and in every store window. 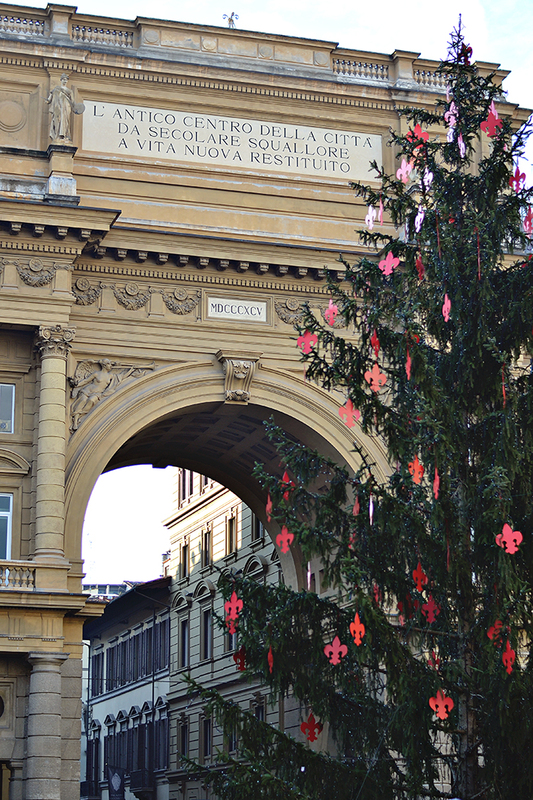 Each street strings up different festive lights and two giant trees decorated with the Florentine giglio are put up in front of the duomo (cathedral) and in Piazza della Repubblica. There are also special light projection shows that run every night on famous building facades and major piazzas throughout the city. 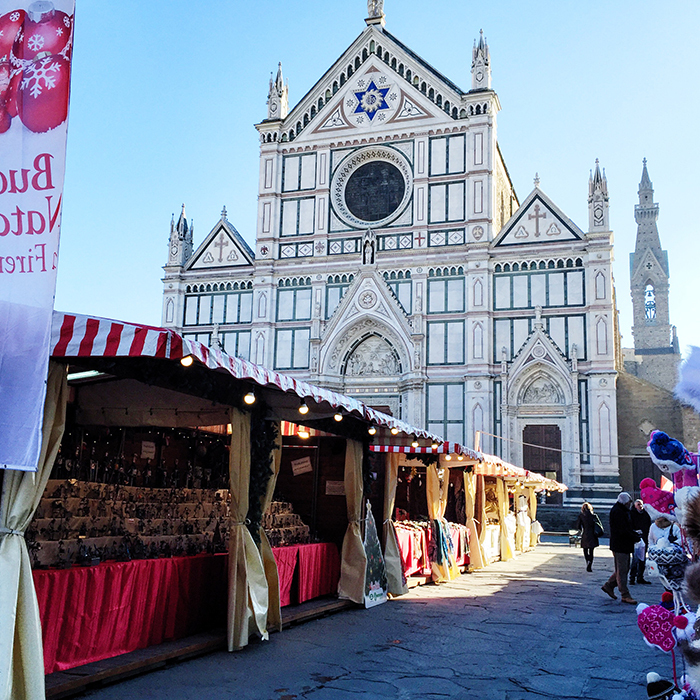 But my favorite Florentine tradition is the German Christmas market in Piazza Santa Croce. 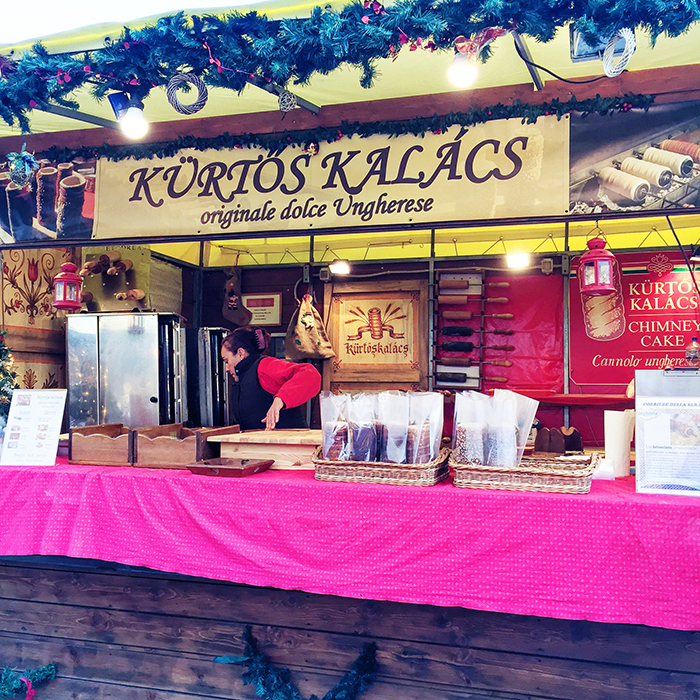 Who doesn't love hot bratwurst and sauerkraut, mulled wine, and Hungarian chimney cakes? Oh my goodness the Hungarian chimney cakes... absolute heaven (especially the cinnamon one)! 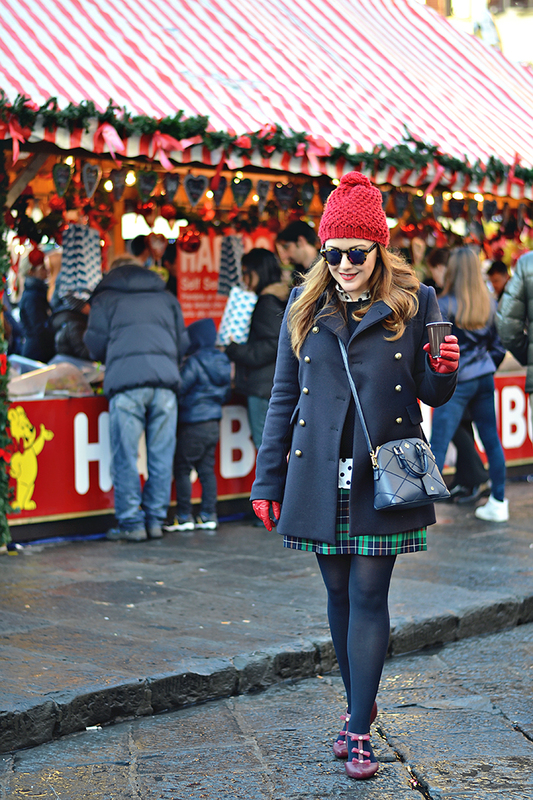 In addition to the delicious street food, the market also sells handmade items, Christmas decor, and lots of candy. The best part about this market? It is only a five minute walk from my apartment. 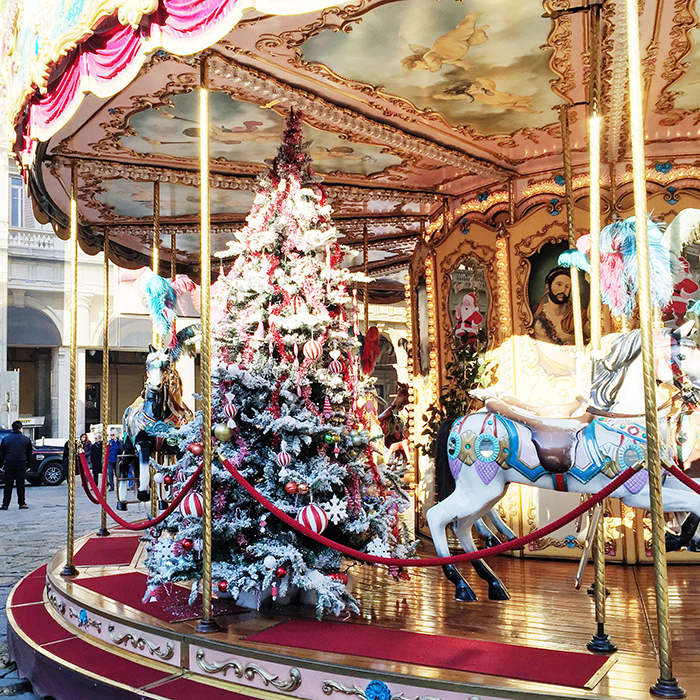 If you ever get the chance to experience Florence at Christmas, take it! It is hard not to be in the holiday spirit here. Going home to warm Florida, however, is going to be strange.